1) I need so much grace from God. Every single day. 2) I need to give myself grace. I’m a perfectionist, and I can be very hard on myself. This year, I want to give myself more grace. This is not the same thing as allowing myself to slack off. Instead, it’s practicing kindness and generosity toward myself, especially in my writing. 3) I desperately want to grow in extending grace to others. I have been shown such an abundance of undeserved favor; I want to turn that around and show that to others. 2014, I hope and pray, will be a year full of black and white and also so many shades of gray, which help me to be more gracious, to value mercy from others and offer it freely, and to wield generosity as best as I can. Original image from weheartit.com, edited at picmonkey.com. This entry was posted in real life and tagged 2014 is about grace, grace, i need grace, i want to extend grace, i want to give myself grace, my one word of 2014 is grace, one word is grace, real life by Jackie Lea Sommers. Bookmark the permalink. I love this idea, because there is so much you can do with it. I think I did something similar back in 2006 where my mantra was “say yes to change,” and I said yes to everything (even when the boss would ask for volunteers, I had to raise my hand and volunteer). Even things I didn’t really want to do. It ended up being an incredible year because I had so many experiences and stories that came out of all the random things I did, from cleaning out dusty storage closets to climbing a 50 foot tower to going on dates. 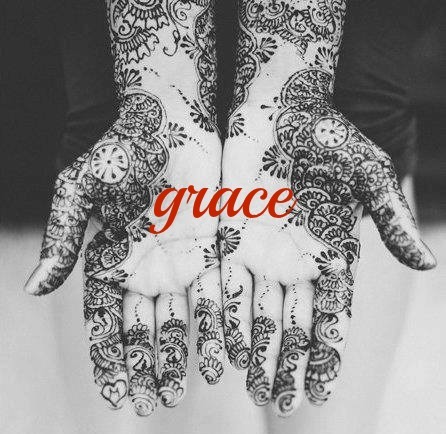 I hope that your experience with grace is amazing and fulfilling for you and those around you! Oh wow, that’s so cool that you did that! I’m hoping to stamp my one word on my psyche this year! I like the practice of choosing a word, too, to guide me through the year. Blessings to you, Jackie, as you walk with grace this year. Thanks, Tina! And blessings on you as you seek adventures! Couldn’t have picked a better word! Thanks! I’m pretty excited … and have ALREADY had to remind myself of it.